The growing skylines of equity market have always been the source of growth for the various types of equity mutual funds. Over the years, the mid-cap funds have gained popularity among the investors. What makes them out of the box fund to choose from their highly rewarding nature? What does a Mid-Cap Fund Depict? 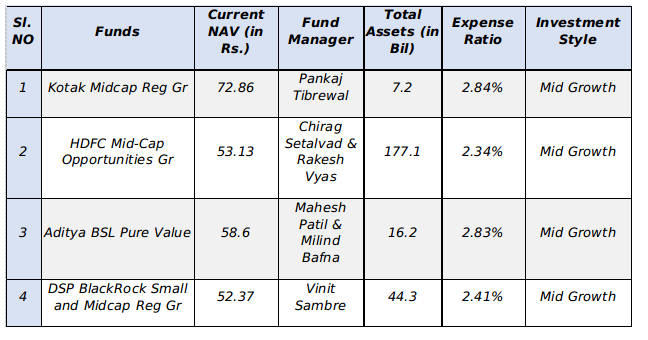 The mid-cap fund, as the name suggests it invests in the companies with medium capitalisation of Rs. 5000 to Rs. 10000 crores. 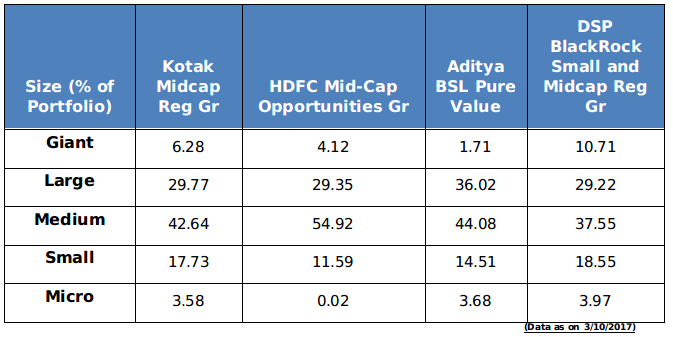 As the mid-cap companies are already grown up a way in the market and have adequate capability to survive in the various market trends, the mid-cap fund carries higher growth opportunities than the large-cap fund. Moreover, it is less volatile than the small cap investment. These type of funds have a better scope of growth and returns in the market. They give a warm welcome to the investors with high-risk appetite having long-term investment plans. In terms of reliability, this category provides a strong approach toward the high growth of capital by confronting fewer risk than the small-cap peers. The chances of defaults always lie in this fund. But when today’s sapling becomes tomorrow’s tree, it becomes worth taking the pain of growing it. Risks become rewards as mid-Cap become large-cap in the future. 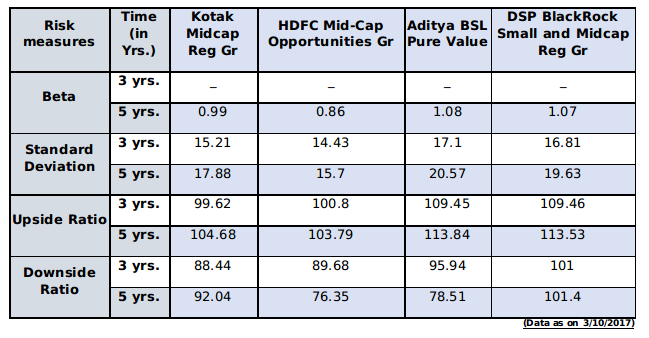 How Rewarding is Mid-Cap Fund? The new happenings always welcome more progress, these funds always have a better scope of growth and returns. Mid-cap fund is a type of fund depending upon the ups and downs of the market. These funds pay off well if the companies show a rightward graph of growth in the set-up of the market. 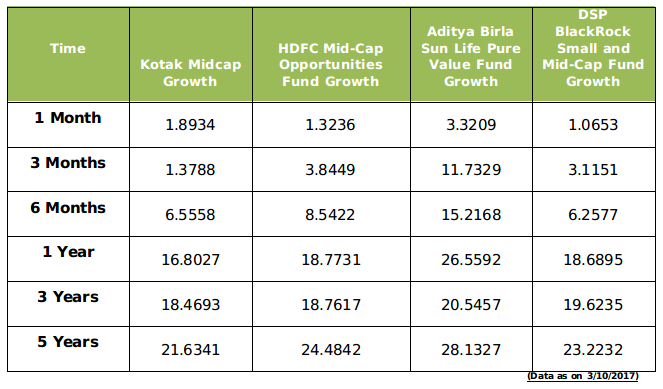 When specifically talking about returns, the small and the mid cap funds have higher growth prospects than any other fund. As the movements of all the funds typically depend on the market trends, the upgoing market brings positive returns but when the market is negative returns also tend to be negative. The mid-cap funds are best suited for an experienced investor. This type of fund is recommended for aggressive investors, who are ready to take high risks to earn splendid returns. With proper monitoring and expert advice, this fund can be opted to reap excellent results. Beta : It is a measure of the volatility, or systematic risk, of a security in comparison with the market. Standard deviation : It is a measure of the dispersion of a set of data from its mean. Standard Deviation is calculated as the square root of variance by determining the variation between each data point relative to the mean. "Upside or Downside Ratio" Fund's monthly return, calculated when the benchmark had a positive return and gets divided by the benchmark return during that same month is known as Upside Ratios. Ratio calculated by taking the fund's monthly return during the periods of negative benchmark divided by the benchmark return is known as Downside Ratio.